Yay Bikes! returns to OSU! — Yay Bikes! Yay Bikes! returns to OSU! We are excited to announce that this fall, in conjunction with the launch of bike share on campus, Yay Bikes! will once again provide bicycle safety education to members of the OSU community. We will be delivering information sessions on bicycle commuting, an educational poster and our traditional How We Roll rides to both the academic and the medical center's students, faculty and staff. The academic audience will be introduced to riding the streets from campus to downtown, taking in the sites of the city, while those affiliated with the medical center will be taught to use bike share for rides between the various medical buildings. Stopping in downtown, so beautiful! Biking on the road is way easier than I expected. Meanwhile, fully 26.5% of participants said they'd be "Very Likely" to repeat this journey on their own, and/or attempt others that are similar (with another 56% saying they were "Somewhat Likely" to do so!). So kudos to OSU for including this essential educational component in their bike share roll out plans! 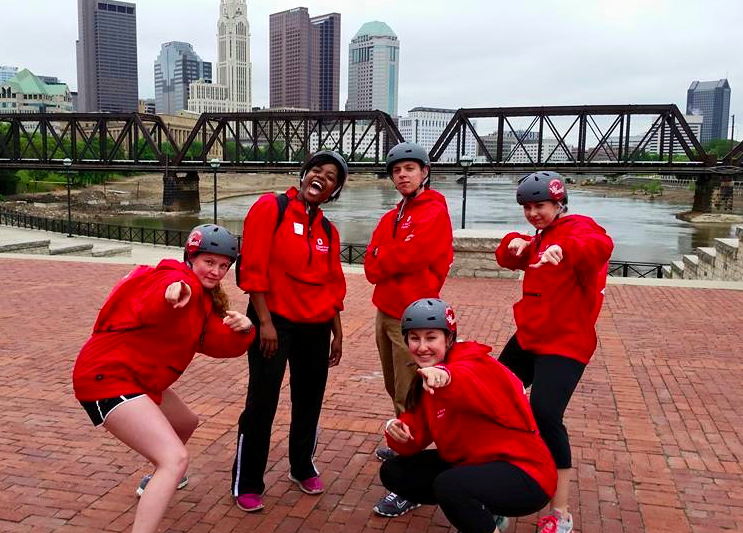 Clearly we should all be watching out for more and better bicycling from the OSU area come this fall, from these First Year Peer ambassadors and everyone they touch, plus all the others we reach with our message and our unique How We Roll experience. To participate! Rides and information sessions will be offered at least through fall semester, according to demand. If you are a member of the OSU community and would like to schedule a learning experience for your group, contact Meredith.